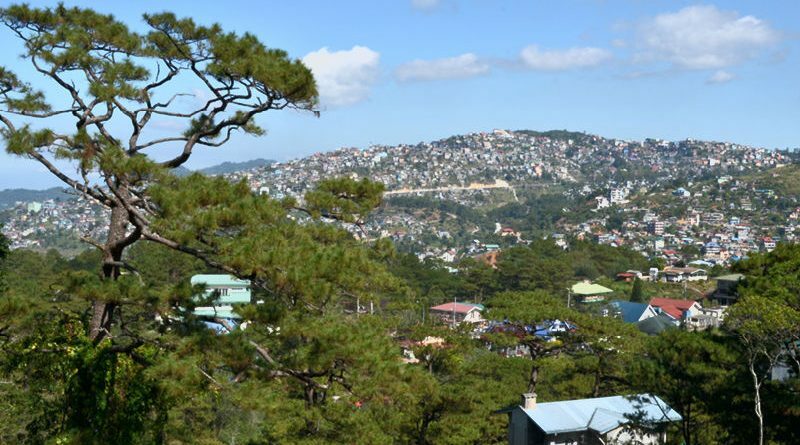 BAGUIO CITY – Five ladies and five gentlemen were honored as 2018 outstanding citizens during the Baguio Day celebration at the University of the Cordilleras last Saturday. Five were awarded for community service: Dr. Jose Caoile Bugayong, Jr., Jose Ong Tajan, Jane Bang-og Cosalan, Generosa Boado Carbonell, Guillermo Battad Cortes; two for education: Rosalind Rusgal Camat and Esther Kiw-is Litilit, PhD. ; and one each for culture and arts (Teresita Tio Marcelo); Professional distinction (Engr. Bonifacio Ilao de la Pena) and business (Rolando Veneracion Villanueva). Dr. Bugayong, Jr. served as medical professor in the Saint Louis University, and is a visiting consultant in surgery for 30 years. Now retired, he serves as volunteer physician in the city’s Pasadang Pambarangay and busies himself with community and church activities. He served as oral examiner for the board of surgery; and an expert on consultation and diagnoses where his unselfish character and spirit of volunteerism veers toward the restoration and preservation of health of Baguio people. Builders of Baguio Awardee in 2009, businessman Jose Ong Tajan is a perennial giver: to the academe, to the community, during calamities, and during celebrations. He also serves as emissary for good relations between the city and Hangzhou, where through his initiative a friendship garden is established at the Botanical Park. His well-educated children follow his example, serving the communities where they abide. Teacher turned realtor and philanthropist Jane Cosalan, has given time, skills and material blessings for the Baguio and beyond. She supports humanitarian endeavors through socio-civic groups and the church where she gives to the poor, disadvantaged and disabled, the priests and nuns, joins environmental-friendly and health causes, and serves as foster parent to PMA cadets. Her giving extends to Mountain Province. Cagayan de Oro, Ilocos Sur, Manila and even in Mindanao. Generosa Boado Carbonell is a Baguio-educated nurse, and has served through local hospitals. Her education and training was enhanced overseas but she has focused on training local nurses for better hospital service. The ever friendly and courteous security guard Guillermo Battad Cortes is honored for dedication to his job, which at times is beyond the call of duty, retrieving and returning valuable items for the owner. Previous and present employers avow to his integrity, being responsible and committed which endears him to people he meets along the way. For the award in education; Teacher Camat shares the award with teacher-leader Litilit. Camat is an all-around worker and giver; a retired college professor, caregiver in the family, youth, women and community worker, and active senior citizen member. She organized the ladies’ night patrol, to ensure that school-age children are home in the evenings. She coordinates and works with the academe, church and school, delves in tourism and sets the example as a good and law-abiding citizen. Dr. Litilit, on the other hand, takes care of the academic growth and well-being of elementary school children and their teacher in every school where she was assigned. Partnerships with parents, teachers, the community; even the outside world proved to be beneficial as they cooperated to provide for a better learning environment for the children. As a teacher-leader Dr. Litilit facilitated and won awards for best implementor of Brigada Eskwela ( national level) Most Eco-friendly school (regional level) and Best performing school,(finalist in the regional level). The functional use of bulletin boards in the division, and the accreditation of a school to the second level was highlighted during her term of service. Teresita Marcelo blazed a trail for sterling silver business and other indigenous items in the city with a small antique shop, suppliers, and craftsmen. Within years, the shop she set up with her husband grew bigger, and as they went thru rough roads and easy ways, humanitarian endeavors through socio-civic groups was a means of giving back. Marcelo donated to schools, dialysis patients and typhoon victims; coordinated outreach, park-development, tree-planting and school feeding programs, joined medical missions, sight saving and diabetes awareness projects, gave wheelchairs to the needy, and acted as foster parents to Philippine Military Academy cadets, among other worthwhile programs. Engineer Bonifacio de la Pena’s foundation is rooted in a Baguio-based education, with trainings in different parts of the globe, but chose to share it through the academe and practice in the city. His expertise are on computer applications in civil engineering, disaster prevention and mitigation, globally competitive engineering education, housing and landslide hazards and assessment, soil stability, road and bridges construction, among others. He is also involved in church and community activities. Entrepreneur Rolando Villanueva is US-educated and employed as a laboratory scientist when he came home to run the family businesses. His ventures; rent-out houses and dormitories, coffee industry support, gas station; grew and now provides employment as well as training ground for future entrepreneurs. Likewise, Villanueva grew well into corporate social responsibility (CSR). Through socio-civic groups, he creates more opportunities and is invited as motivational speaker in philanthropic projects. He is also well-trained for said endeavors, here and abroad, and is into advisory boards for education, heritage, peace and order, and tourism. He believes in “service above self” and shares his expertise to many, including his employees, whom he considers as partners. The search was launched early this year with the nominees undergoing stringent screening, interview and judging by members of the SOCOB.